Gutters, while costly and sometimes unattractive, serve several important and some not-so-important functions. In any structure, keeping the ground surrounding the foundation as dry as possible is critical. Wet dirt surrounding the foundation can lead to severe structural problems. 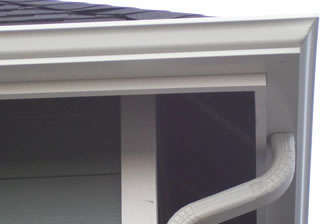 Gutters help control this problem by taking rainwater that falls on the roof and draining it away from the foundation. 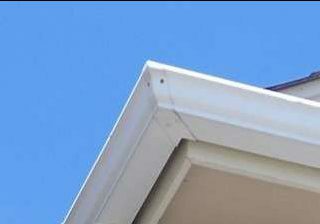 We offer a wide range of gutter brands and solutions for our customers. Please contact us to find out which is right for you!